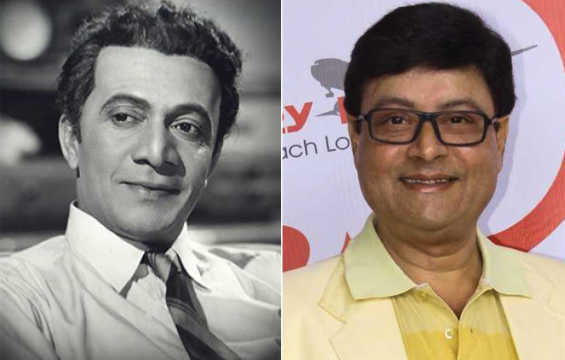 Actor-writer-director Raja Paranjpe, who died on 9 February 1979, had introduced Master Sachin aka Sachin Pilgaonkar, not even five years old then, to cinema in the early 1960s. The black-and-white era of the 1940s, 1950s and 1960s is considered by many movie buffs to have been a golden era in the history of Indian cinema. A number of multi-talented personalities blossomed in this period. One of them was a man from Miraj, a small town near Sangli in the erstwhile Bombay presidency, named Rajabhau Dattatraya Paranjpe, better known simply as Raja Paranjpe. Raja Paranjpe was a prolific writer, director, actor and producer in both Marathi and Hindi cinema from the 1940s through the 1970s, best known for directing acclaimed films like Pudhche Paul (1950), Shri Krishna Satyabhama (1951), Oon Paaus (1954), Andhala Magto Ek Dola (1956), Jagachya Pathivar (1960), Bayko Maheri Zaate (1963) and Pathlag (1964). One film from Paranjpe's ouevre that remains special to current Marathi film icon Sachin Pilgaonkar is Haa Mazha Marg Ekla (1963). It was in this film that the child artiste Master Sachin made his debut at the age of four and a half years. On Paranjpe’s 40th death anniversary (the prolific artiste died in Pune on 9 February 1979), Pilgaonkar went down memory lane about his first film and his experience with Paranjpe in a conversation with Cinestaan.com. Pilgaonkar does not hail from a film family. It just so happened that his father knew the legendary music composer Sudhir Phadke, who was fondly called Babuji. Phadke was producing Haa Mazha Marg Ekla in which Paranjpe was donning the hats of director as well as leading man. They wanted a child actor to play an important character. The senior Pilgaonkar asked Phadke if his son could audition for the role. Phadke, the producer, took a liking to the little Sachin after seeing his antics and his dance. “But Rajabhau was reluctant to see me because he was tired of looking at so many kids for the role and had already finalized another boy,” said the veteran actor. Ultimately, however, Paranjpe agreed to meet Sachin once. “The moment he met me, we both clicked with each other and the rest is history.” he said. Sachin said the film was inspired by the Charlie Chaplin classic comedy-drama The Kid (1921). "Rajabhau thought of making a Marathi film on those lines," Sachin said. "But of course [it was] his own version and [his own] storytelling.” Haa Mazha Marg Ekla was more drama with the principal character, played by Paranjpe, a hard-drinking motor mechanic. 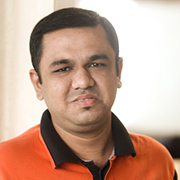 The comic relief in the film was provided by Sharad Talwalkar, a regular in Raja Paranjpe projects. The film also starred Seema Deo, Jeevankala and Raja Patwardhan. Haa Mazha Marg Ekla told the story of the mechanic, a hard man whose life is bereft of happiness. Things begin to look up when a lost child comes into his life. Sachin still remembers his first day on the sets. He was uncomfortable because everything was so unfamiliar to him. But the director had become a friend of the tot and things just kept getting easier with each passing day. Sachin recalled that he realized pretty soon, even at that age, that something life-changing was happening with him. “On the third day, when I was giving my first shot, I realized I belong in this place [the film industry]. This is my home and I am here to stay,” he said. Recalling some interesting moments from the shoot, Pilgaonkar said he often made the mistake of looking at the mark on the ground where he was supposed to stand. “During shooting I would look at the mark and then take my position. He [Paranjpe] would tell me that I should not look at the mark but just need to guess the correct position. Yet, in a few shots in the movie, [if you are observant,] you will notice me looking at the mark,” he said. The film gave Sachin's acting career a flying start. The youngster won the National award for Best Child Actor for the film, “that too at the hands of Sarvepalli Radhakrishnan, the second president of India, in the presence of Pandit Jawaharlal Nehru!” The Pilgaonkars were obviously delighted. Like his mentor, Sachin Pilgaonkar went on to become a filmmaker himself, making his directorial debut in the early 1980s. He admitted that his ambition to become a director stemmed from his admiration for Paranjpe. But one wish of the one-time child star will remain unfulfilled. “I wanted to direct Rajabhau in a film,” he said. Unfortunately, Paranjpe died a couple of years before the actor Sachin became director Pilgaonkar.